Confession: I am addicted to making cookies from cake mixes. I am intrigued that I use the same recipe each time and each flavor turns out differently not only in flavor (obviously! ), but in texture and shape and size. My recent cookie is from a Duncan Hines Strawberry mix. These are sooooo good. Texture: think Little Debbie Oatmeal Cream Pies. 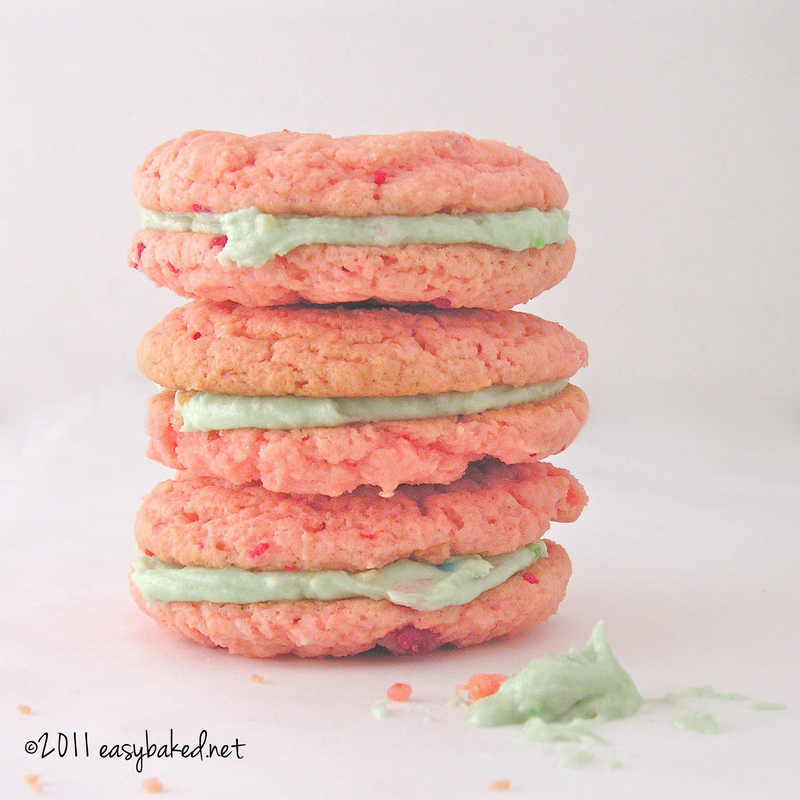 These are amazing unfrosted- sweet and flavorful– or make them sandwiches with frosting (I used leftover Sweet Tart frosting, but thought about my lemonade frosting….mmmmm….). 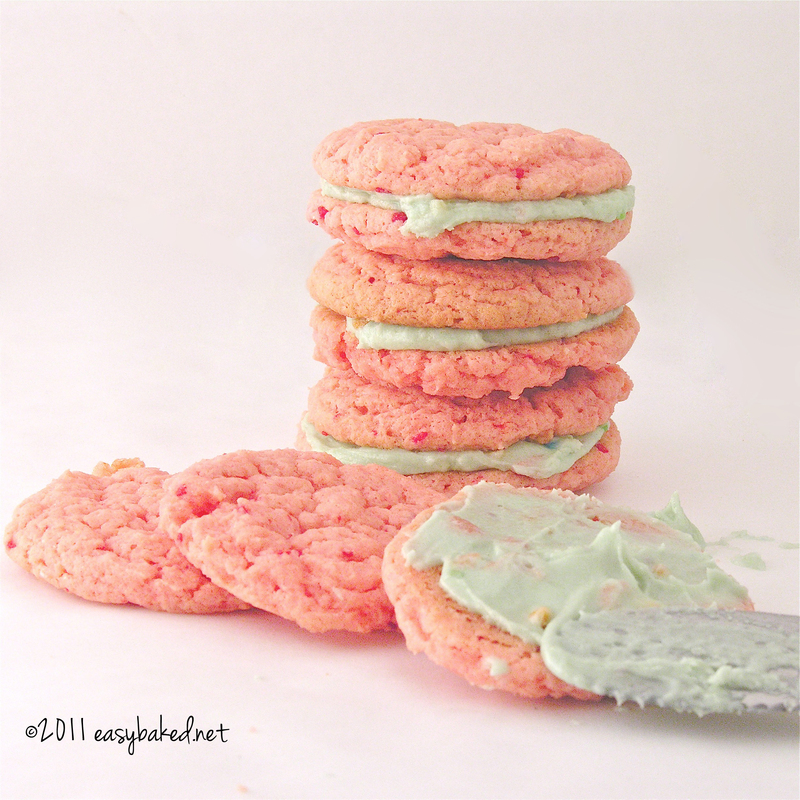 Or maybe dip half in white chocolate….oh the possibilities for these little cookies!!! frosting of your choice (if desired). Sandwich with frosting or Cool Whip…or dip in white chocolate….be creative!!! Posted in Cookies and tagged cake mix cookies, cookies made with cake mix, dessert, desserts, easy cookies, strawberry cookies, strawberry dessert, strawberry lemonade cookies, sweets. Bookmark the permalink. 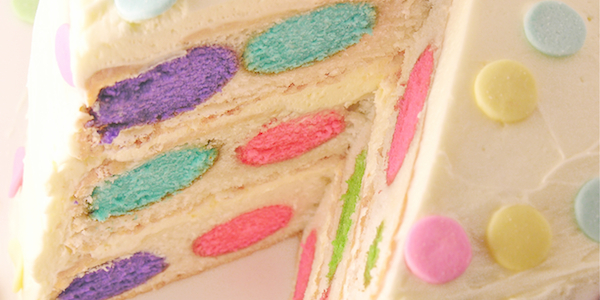 I love how you create something so great from cake mix! These are so tasty and easy and cute and fun to make, and smell wonderfully as they cook. Will you share other cake mix combinations? Thank you! There are caramel pecan cookies made with caramel cake mix, german chocolate cookies with german chocolate cake mix and carrot cake cookies made with cake mix… if you click on any of these links it will take you right to the recipe! !